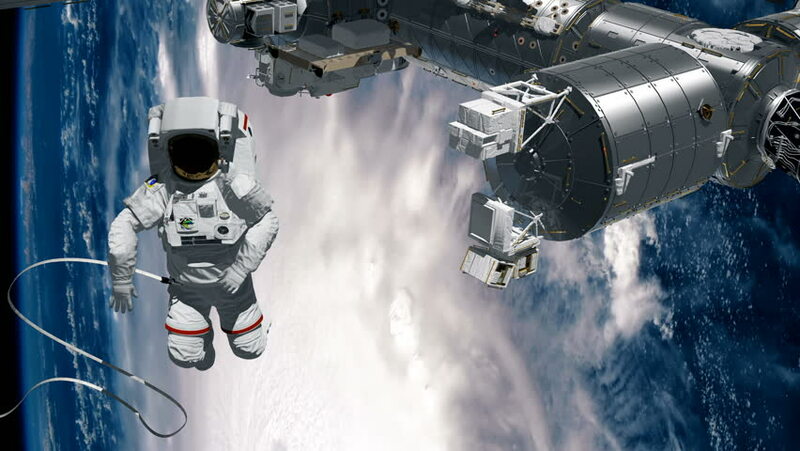 Astronaut Spacewalk, waving his hand in the open space. International Space Station ISS revolving over earths atmosphere. Hurricane behind.